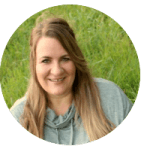 Note: The show has changed since my visit but I recently visited again with my mom and dad and have added updates to this post where needed. Driving down ‘The Strip’ in Pigeon Forge and Gatlinburg, you’ll find no shortage of entertainment. Fun, clean, family-friendly shows, attractions and restaurants are plentiful. Yet with all those options, my family has gone to less than a handful of shows in the many times we’ve visited the area. 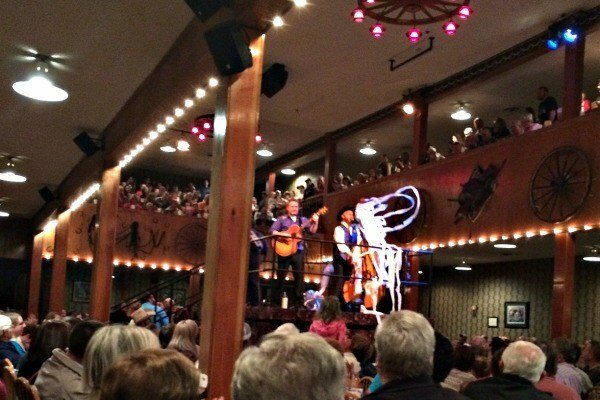 When we accepted an invitation to visit this past October, I thought it would be fun to attend a dinner show. Our meal and entertainment would be taken care of in one fell swoop. Or so I hoped. After discussing it briefly with my family, we decided to visit the Dixie Stampede in Pigeon Forge, inquiries were sent, the reservation was made and we were all set. Or so I thought. The day we were supposed to go, my kids decided to share that they didn’t really want to go. I remember words tossed around like “waste of time”, “lame”, “boring”… I think you get the picture. So with a lack of excitement, we left the cabin and loaded into our vehicle and headed to the Dixie Stampede early to retrieve our tickets from Will Call. After picking up tickets, we proceeded down a hallway that wound its way back to the Dixie Belle Saloon. Before we could be seated for the pre-show, we had to succumb to being photographed for a souvenir photo that I knew we’d never buy. We were quickly photographed and ushered aside to the saloon where we took a seat and waited for the pre-show to start. We waited. And waited. And waited some more. I did mention that we arrived a bit early, right? My suggestion- don’t arrive any earlier than Dixie Stampede suggests. Arriving any earlier does not get you seated before anyone else. Trust me. My apprehension and “What did I get us into” mentality began to ebb away when the pre-show band, Mountain Ruckus, began to play. The bluegrass players were talented and lively, playing many classic tunes as well as some popular songs with an added dose of twang. My husband and I loved it right away. And so did my 21-year old. It took a bit for my 18 and 19-year olds to get into it, but once the band began to play The Devil Went Down to Georgia, they perked up. The pre-show lasted about 20 minutes before the corralling to the upstairs arena began but I really could have listened to them much longer. When I mean corralling, that’s pretty much how it felt and as someone that really hates being in crowds, moving everyone from the saloon to the arena in that fashion almost made me dislike the entire evening. As I was standing in the stairwell with about a hundred other people, I was making a mental list in my head of who I wouldn’t return with to watch the Dixie Stampede. Thankfully, seating went much faster than I expected and within a few minutes, we were happily on our way to our seats. At first glance, I was disappointed to find our seats near the top of the arena but the disappointment was short-lived. As the show began, it was clear that the higher seats were actually a bonus, as we were able to view the entire arena with no difficulty. Before you begin to think that I was disappointed by the entire evening, allow me to get to the good stuff. The four-course meal arrives in stages throughout the show and consists of creamy vegetable soup that you slurp from a handled bowl, a cheddar biscuit, whole rotisserie chicken (think the size of a Cornish hen), a smoked BBQ pork loin, corn on the cob and herb-basted potato that you eat sans silverware. Dessert is a yummy flaky- and sticky- apple pastry. And it’s topped off with all the Pepsi, iced tea or coffee you can drink. There are wet wipes at the table and after your meal, the wait staff will present very welcomed, warm, moist wash clothes so you may wash off your fingers. Sometime during the show, someone came by our row with our souvenir photos. One look at them and I didn’t need to ask my husband for money, he was already digging in his pocket to retrieve the money we needed to purchase them. It was the best photo my family has had of ourselves in quite a while, which made me wish we’d coordinated outfits a bit before leaving the cabin. The show was entertaining and full of choreographed horse tricks, wagon races, chicken chasing, pig racing and Skeeter. That’s all I’m going to say, but believe me when I say Skeeter really makes the show come alive. New since that first visit is a 150-foot tall LED wall that enhances the show with sweeping views of our natural lands. 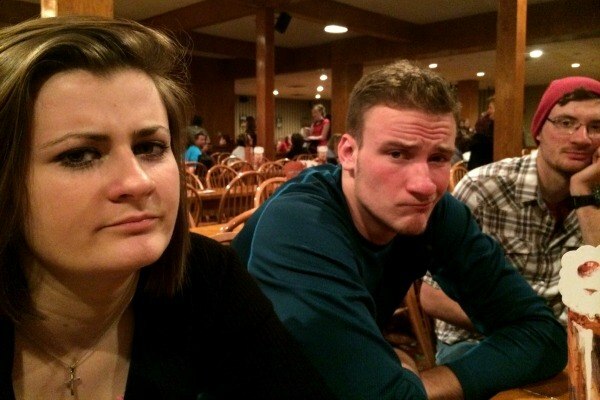 The Dixie Stampede was SO much fun. Any doubts we had about how much we would enjoy the show were unfounded. My family laughed throughout the entire performance and I left thankful that I was able to watch the show through my eyes and not through the lens of my camera. 1. Don’t arrive any earlier than you need to but keep in mind that parking is a premium. Especially if you go to one of the early shows. 2. When choosing a seat for the pre-show, make your way up the stairs not downstairs where the stage is. Seating upstairs is limited but will allow you to see the band and have easy access to the arena when the doors open. 3. The Dixie Stampede only serves non-alcoholic beverages which isn’t a deal breaker for my family, but you need to know in the event you get a hankering for a cold beer. 4. Don’t purchase any snacks or drinks in the saloon before the dinner show- believe me, you won’t go home hungry. 5. “Go” before the show starts. You won’t want to miss anything once the main show begins. 6. 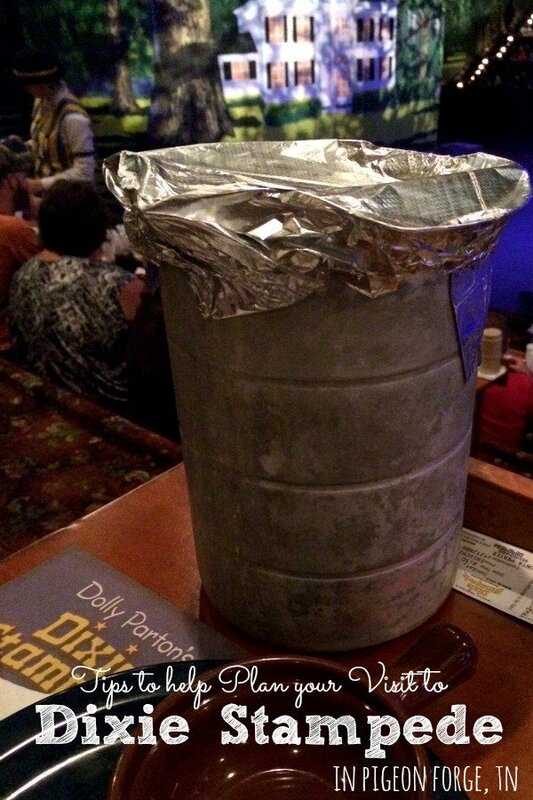 You won’t find eating utensils at the Dixie Stampede so be prepared. 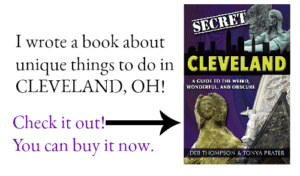 You may want to tuck some wet wipes, hand sanitizer or both in your purse or pocket before arriving,. 7. Seating can be tight during the show, depending on who is in your party. 8. Gratuities are not included in your ticket price so make sure you have cash on hand. 9. Souvenir boot cups are sold at the window when you pick up/purchase your tickets. Resist the urge and buy one in the gift shop after the show for $1 if you must have one. 10. You may want to think about what you wear before you go just on the chance that you decide to purchase your souvenir photos. 11. If you’re worried that you will feel rushed during or after the show, plan to attend the last show. It makes for a late meal and later night, but my family didn’t feel rushed at all during our visit to the Dixie Stampede. 12. Purchase your tickets in advance to ensure the best possible seat. You’ll also find discounted tickets at the Visitor’s Center and some hotel and lodging properties as well. 13. Leave your camera behind. You won’t need it at the Dixie Stampede. 14. While I stated the Dixie Stampede is fun for all ages, it’s probably best suited for those older than five (younger if they can sit still and have a good attention span or interest in horses). 14. Prepare to laugh, cut loose and have a foot-stomping good time. 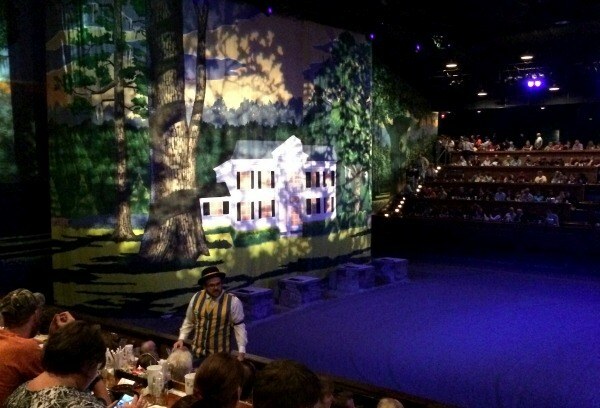 Disclaimer: My family received a discounted admission to attend the Dixie Stampede dinner show in Pigeon Forge so I could share my experience with my readers. All opinions are 100% my own. You are spot on! 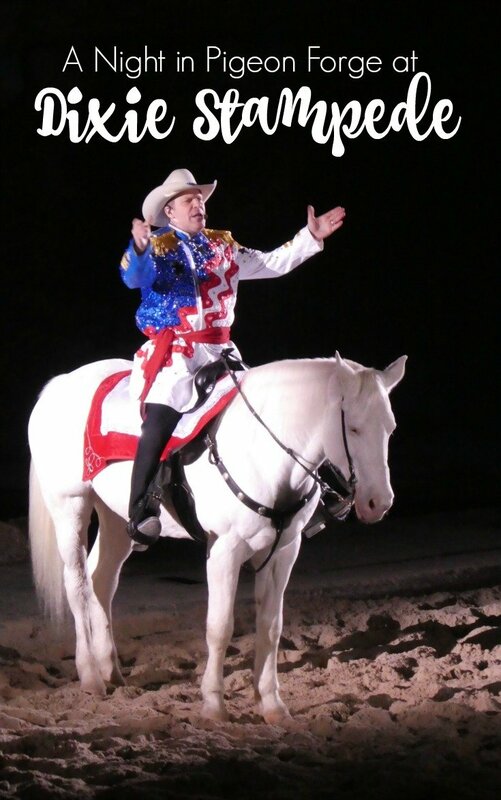 We spend almost every Christmas in Gatlinburg and we’ve been to the Dixie stampede several times and always enjoy it!